The hit 1960’s film starring Cliff Richard has become the feel-good musical of the year! Now this iconic film is a heart-warming stage musical with Don and his fellow London Transport bus mechanics journeying through Paris, the Alps, Italy and then Greece, along the way picking up a girl group in a clapped-out Morris Minor and a young American pop star on the run from her domineering mother! This hit-filled musical includes classics such as In the Country, Summer Holiday, Travellin’ Light, Bachelor Boy, Move It, Living Doll, The Young Ones and On the Beach. 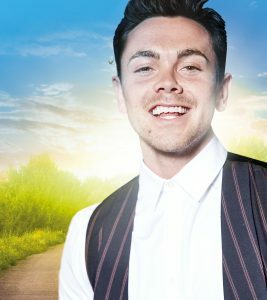 Just announced: Ray Quinn in the starring role as Don!